Four world-renowned producers in the Mexican distillate industry will be joining us for a discussion on the state of Mexican distillates and trends in craft economy. They will join us as part of a collaborative effort at UNM to integrate craft expertise with socio-cultural inquiry and international management strategy. Speakers include: Graciela Angeles, fourth-generation Oaxacan mezcal maker and representative of Real Minero; Ricardo Pico, former brand ambassador of Hacienda de Chihuahua Sotol and founder of the artisanal brand Sotol Clande; William Scanlan III, owner of Austin, Texas-based importing company Heavy Metl Premium Imports; Clayton Szczech, founder of Experience Tequila / Experience Mezcal and co-founder of La Cata, the first and only independent tequila tasting bar in Tequila, Jalisco. "Craft Distillates and Economic Development" workshop on April 26th from 10:00-11:30 am in the SUB Cherry Silver Room. 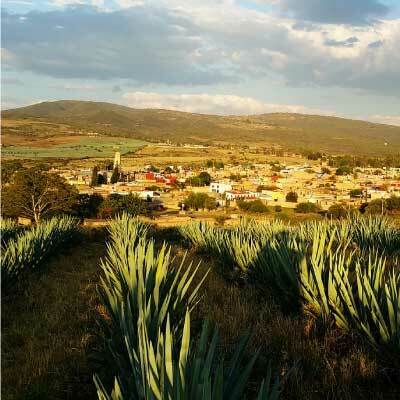 "A Taste of Mexico" tasting of sotol, mezcal, and tequila at the Albuquerque Hispano Chamber of Commerce on April 26th from 5:00-7:00 pm"